7. 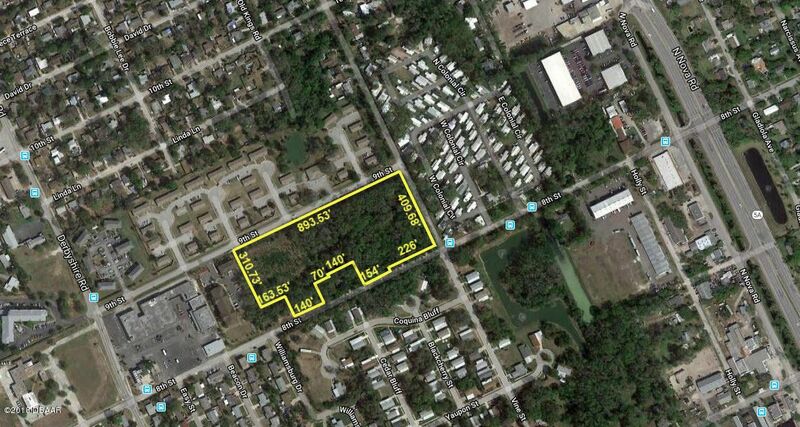 64+/- acre site. Potential lihtc site. Zoning for approximately 150 units. Healthy wooded site. Just minutes to high growth lpga boulevard. Located just south of lpga boulevard and west of nova road at thesouthwest corner of 9th street and vine street. Approximately 3. 5 miles to interstate 95 and 3 miles to tanger outlets. 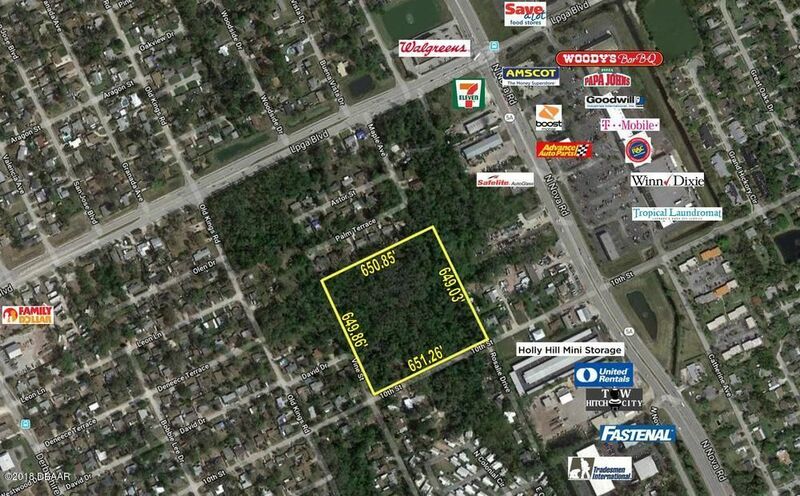 Save-a-lot and winn dixie plaza within a few blocks. Located in an opportunity zone. 10. 1+/- acre site. Possible zoning for approximately 80 units under current future land useurban medium intensity (umi). Great infill site for multifamly or townhomes. Located just west of nova road and just south of high growth lpgaboulevard. Heavily wooded site with easy access to nova road. Approximately 651+/- ff on 10th street. Located just south of lpga boulevard and west of nova road on 10th street. Nw corner of 10th street and rosalie drive. Approximately 3 miles to interstate 95 and 3. 2 miles to tanger outlets. Save-a-lot and winn-dixie within a couple of blocks. Located in an opportunity zone. 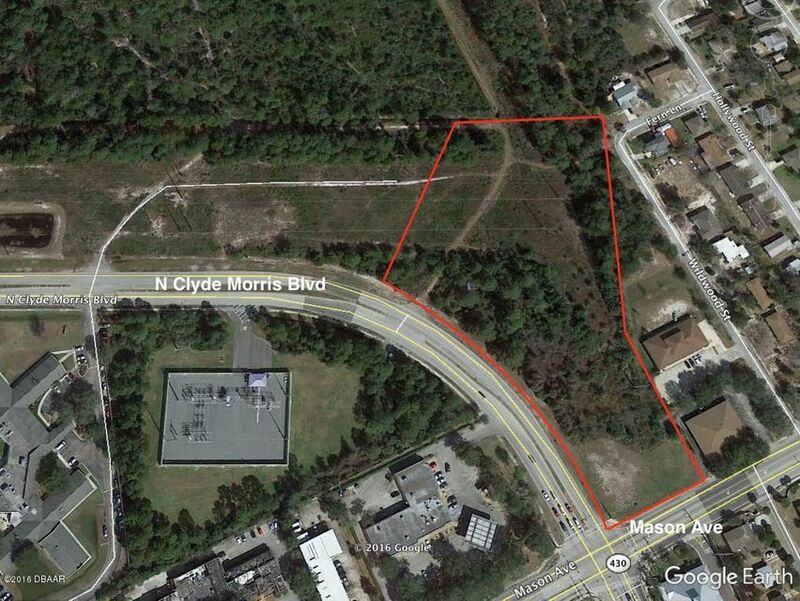 Located at the northeast corner of clyde morris and mason avenue, the property consists of 6. 01 acres. An fpl easement utilizes +/- 2. 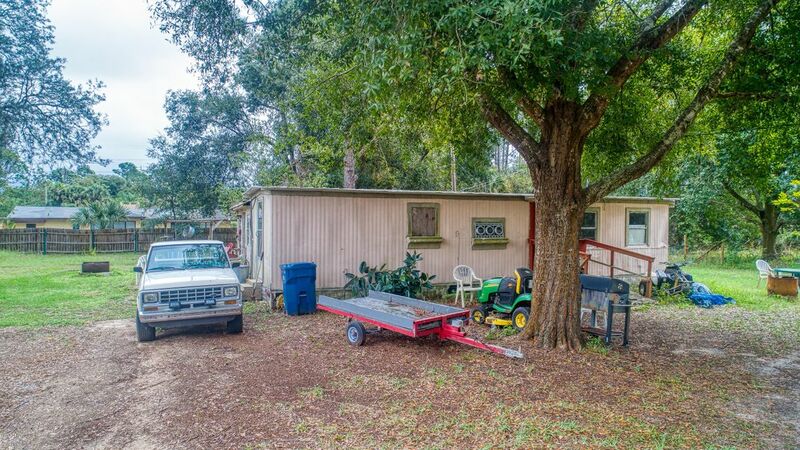 6 acres and can be used for parking or retention. Proposed site plan attached shows a gas station/convenience store on the corner with offices utilizing the balance of the property. Access should be provided from mason and clyde morris. The land will require zoning modifications. Future land uses are office transition and retail. Industrial property for up to 49,000 sq. Ft. Building. Previously approved site plans for 2 buildings 24,650 sq. Ft. Each. Waterretention in place. Industrial m-3 zoning allows many uses including wholesale distribution and light manufacturing. 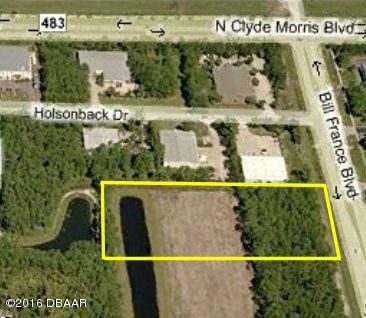 Highly visible location in the daytona beachindustrial /business district on bill france blvd. Near clyde morris blvd. This area includes trane, grainger, fedex, ups, keiser university, florida department of revenue, and the daytona beach general mail facility post office. Located near the daytona beach international airport, the volusia mall, and the daytona beach main throughway. Easy access to i-95. Beautifully manicured corner property in daytona beach. 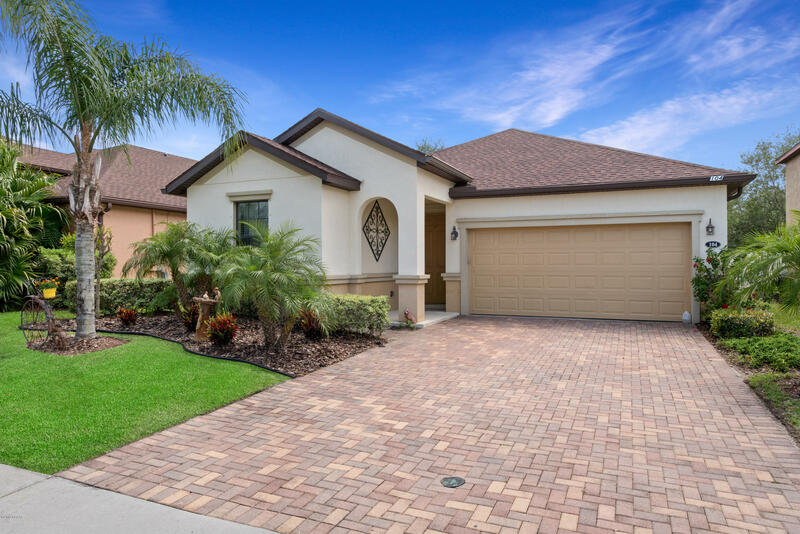 This lovely 3/2/2 solar heated pool home has an open split floor plan with accent lighting and extra large 3rd bedroom that can be also used for an office or bonus room. The kitchen offers solid oak cabinets and a spacious island for entertaining. The roof is 2 years new, the ac was replaced in 2015 and the windows were just replaced last year. Relax and enjoy the heated pool that is currently chlorinated but is also set up for salt water and can be easily converted back. Also included is a 5 person hot tub adjacent to the pool, two storage sheds and a 50 amp outlet to plug in your rv. 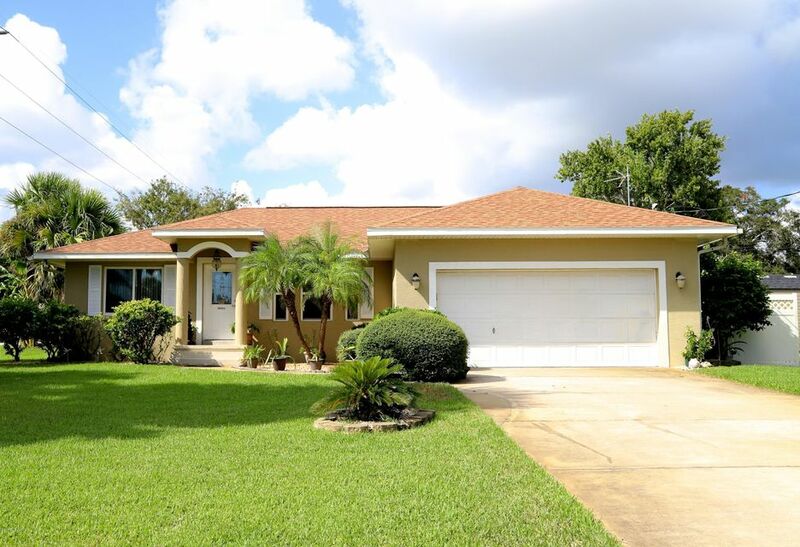 This tropical corner lot includes a banana tree, naval orange tree, papaya tree, and even a royal poinciana tree. All you have to do is move in! In the beautiful centrally located community of tuscany woods you will find this 3 bedroom 2 bath 2013 built open concept home. Perfectly situated on the lake. Enjoy the lake views from your screened in porch. Split bedrooms all with new carpet. Master bath has double vanities with a walk in shower. Great room has plenty of space for your furniture and large dining room table. Brand new roof in oct. 2018 with 50 year shingles! Brick paver driveway. Huge kitchen with extra cabinets opens to your living area, large breakfast bar, ss appliances with brand new dishwasher. Separate laundry room with more cabinets. Only a few steps to the community pool! 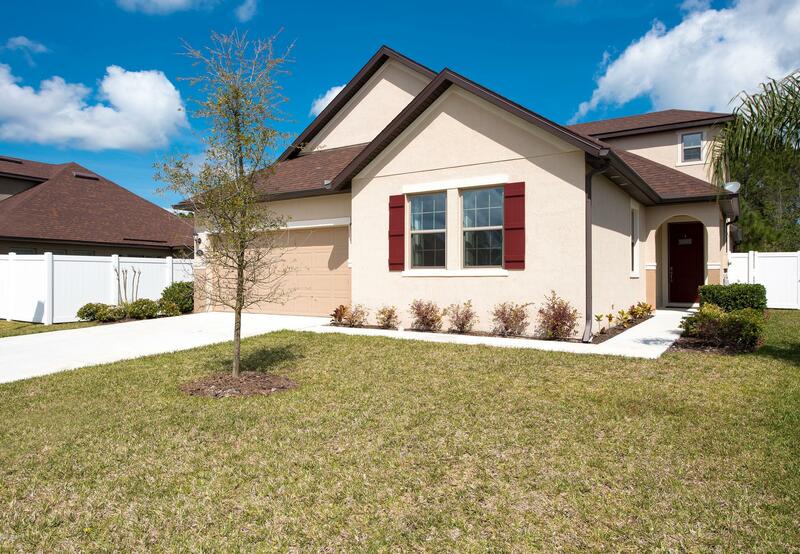 You are only minutes to the beach and the new tanger outlet mall, 10 minutes to airport, and about an hour to orlando. 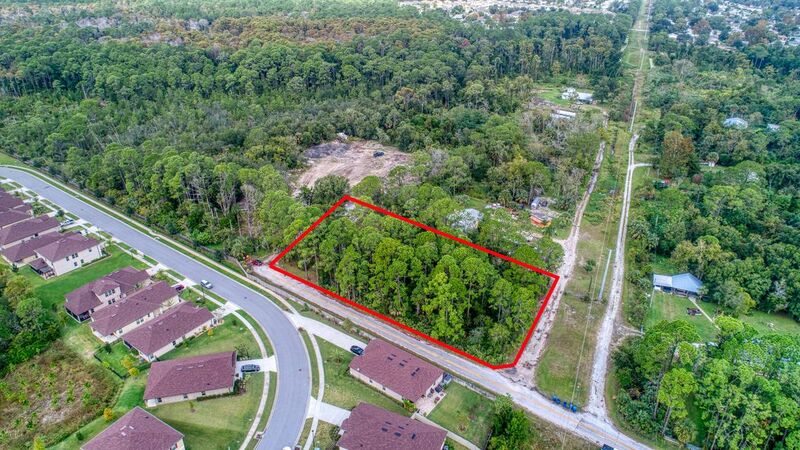 Property being sold for land value only and also includes additional parcel # 423300020013 [mls#1050465] for an additional81 acres for a total of 3. 81 acres. Perfect opportunity to build your new home with acreage or develop it with multiple homes. This property is being sold along with parcel # 423300020012 [mls#1050464] which adds an additional 3 acres for a total of 3. 81 acres. Perfect opportunity for development or build your dream home with acreage.